Durable, dependable, accurate and easy to use. What more could you want in a Tire Pressure Gauge? 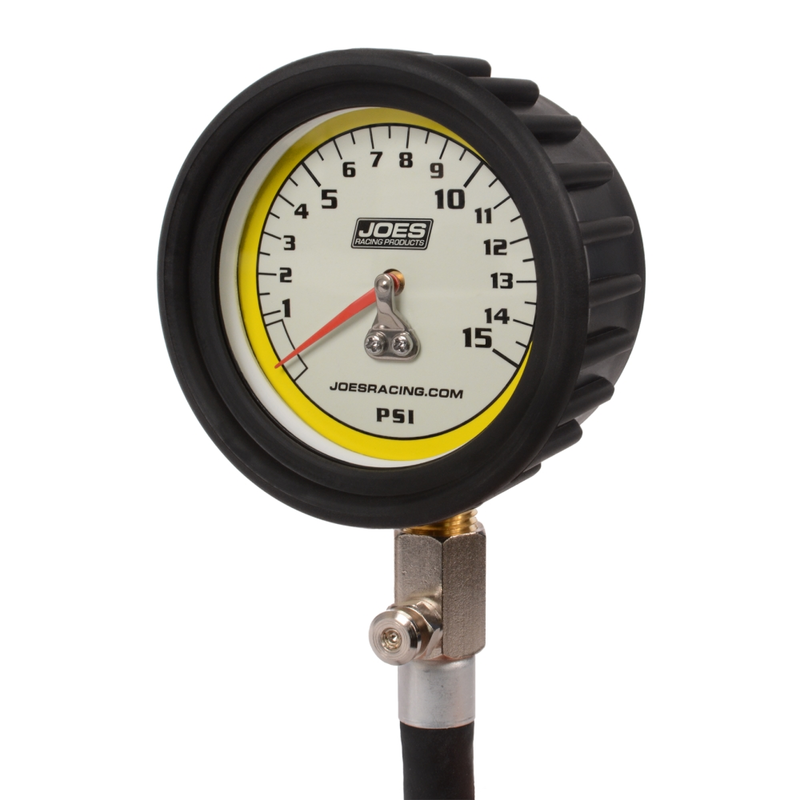 JOES new Analog Pro Tire Pressure Gauges features a 2-1/2″ glow in the dark face, with an internal pressure diaphragm design, that is surrounded by a steel enclosure and a rubber bumper. These features combine to create a rugged, durable and accurate gauge that will give repeatable readings in any condition. 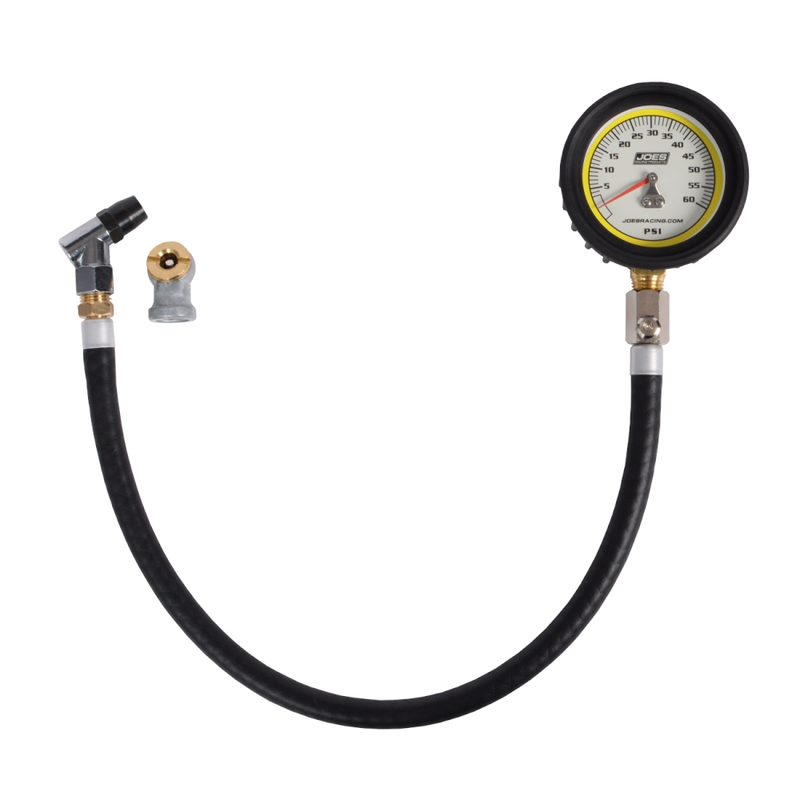 Each Pro Tire Gauges comes with a flexible 17″ rubber hose, along with a swivel and an angle chuck so you can choose which chuck is best for your application. Available in 0-15, 0-30 and 0-60 PSI. 2-1/2″ glow in dark face : Easy to read in low light. 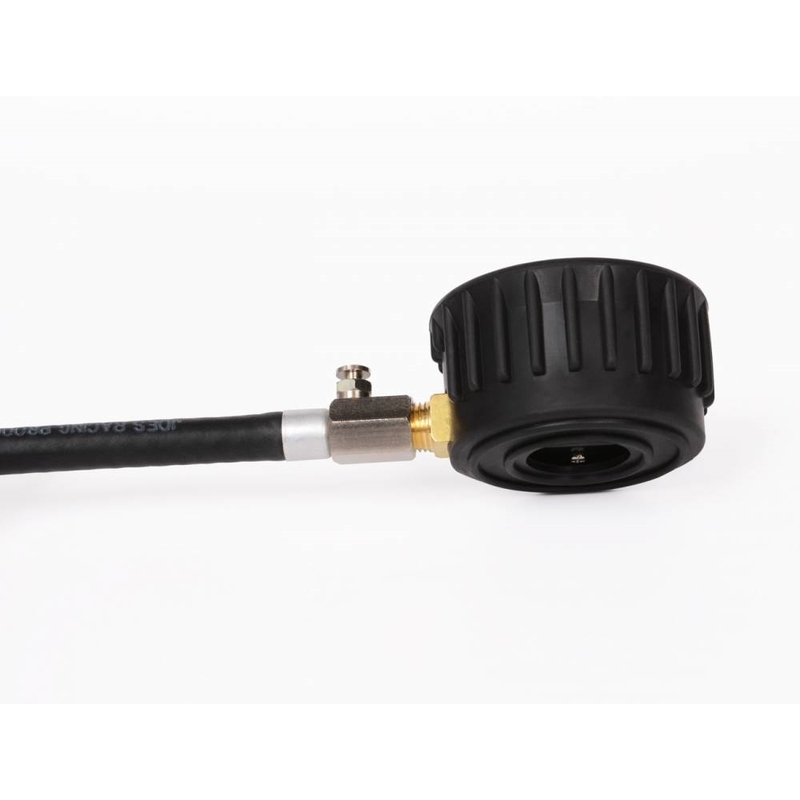 17″ flexible rubber hose: Lets you get to your valve stem easily.